Reading picture books, asking my mom to read me my books, watching films on a VHS player on a Friday and Saturday night, and playing with a gameboy were just some of the activities that made the heart of a four, five or six or ten year old Mic happy. Everything that involved a story, narratives that unfold the lives of characters that could be likened to a lot of us were things, were part of my childhood. I have a feeling that my parents exposing me to books, films and activities helped me become the writer and book lover that I am now. That's why I want to look back at all those films, games and books that made me the 18 year old that I am now. I found myself missing these films,books and activities. Maybe it's all part of time-- missing the things that made you happy. I thought of writing about them here on this blog because hey, why not? Some of the books, films and activities in my childhood were part of my life and have influenced my art in different ways. 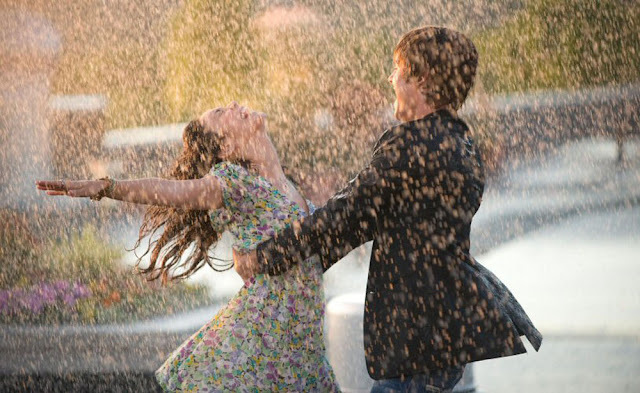 To start of this segment on my blog, I decided to talk about High School Musical, which by the way, turned 10 yesterday (today, if you're following american time??). I can't believe I was actually 7 or 8 years old when this bomb of a movie first dropped. The movie airing on Disney seemed like it was just from yesterday. High School Musical tells the story of two high schoolers, Troy, Wildcat basketball team captain, and Gabriella, a smart transfer student at East High. They meet when they both get randomly picked to sing in a karaoke, which they shyly do. But little by little in the song, and of course, in the movie, they discover that music is something that they love too. 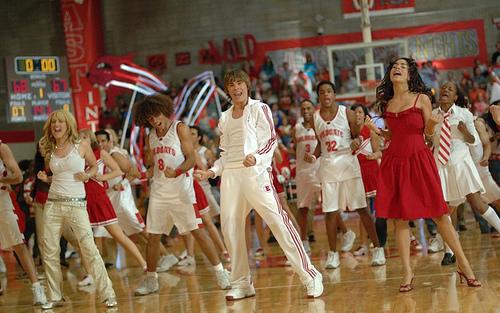 I think HSM is one of the main reasons I believed in the magic of high school life. 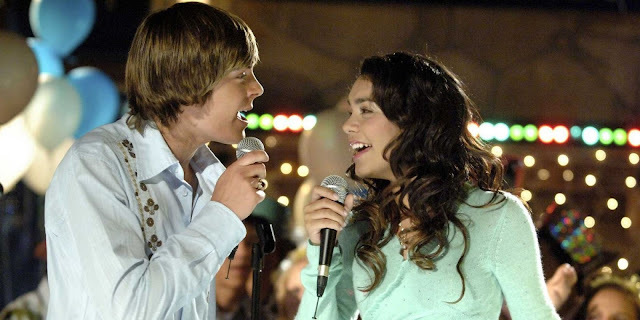 First love, finding hidden talents, improving self confidence, breaking the status quo, and working towards your dreams-- that was what HSM taught to the kids of my generation. HSM's formula is simple but relatable in every way. High school happens at a time where we all struggling with ourselves, our identities, paths, etc. Everyone's having thoughts and confusions and decisions at this stage of our lives. The main characters in HSM, Troy and Gabriella struggled with exactly these things, and showed that it is in fact, alright to struggle because 1.) it is always up to us how we make our ends meet and 2.) there will always be people out there looking out for us; our teachers, friends and parents are always by our side. these may be polar opposites-- all it takes is some breaking free. My high school life wasn't a bit like High School Musical. No break into song moments. No cute boy to sing with on the karaoke during the New Year's Eve party. No musical talent either. But I had a lot of friends who supported me throughout the phase I've been building up my creative writing path. There were stressful days full of pressure because of productions and deadlines and grades and futures. There were days for improvement, days of disappointment, and a whole lot of figuring myself and my future out. 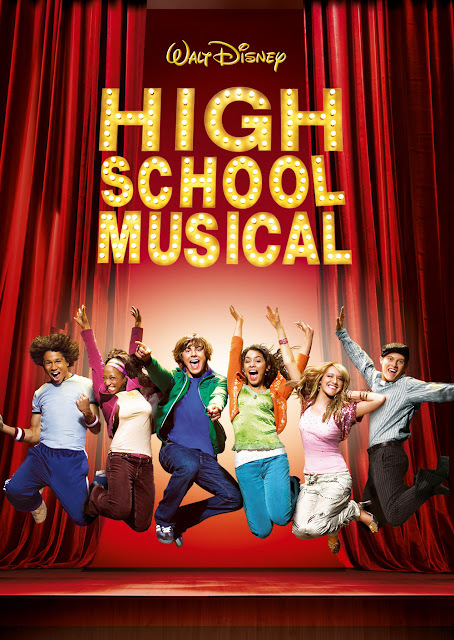 But if there was something that's alike in both HSM and my high school life, it was the learnings-- the growing up, the self discoveries, and the awesome people. I wouldn't have had both of these things enter my life any other way. *Images in this post were from online. I don't own either of them.